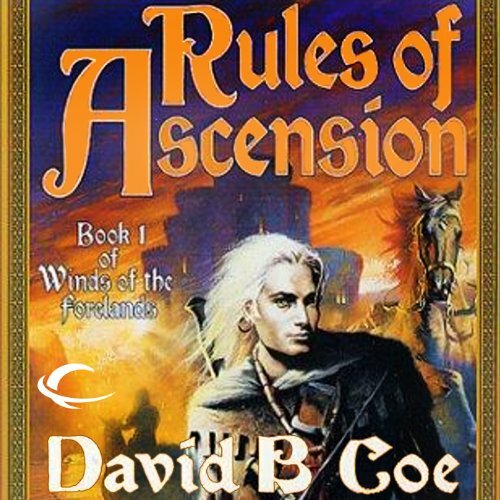 David B. Coe, winner of the William L. Crawford Award for Best First Fantasy Series for the LonTobyn Chronicle, continues his rise to the top rank of fantasy writers with Rules of Ascension, the first novel of an exciting new epic fantasy quartet, Winds of the Forelands. For centuries the Forelands were disputed by several tribes. Then came the magically gifted Qirsi - physically no match for their foes, but capable of mindsight, creating and controlling mists and fire, and bending solid matter to their purpose. After a Qirsi traitor betrayed his race to save himself, the Qirsi were defeated and dispersed among the seven realms of the Forelands. Those specially endowed Qirsi capable of multiple powers, the Weavers, were all put to death. For centuries the Forelands enjoyed relative peace. 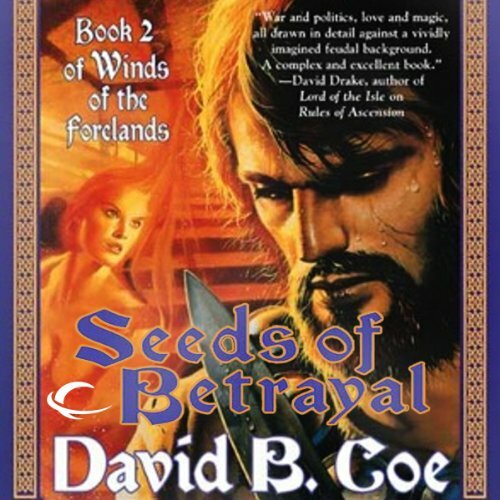 But when Tavis, the heir to the Kingdom of Curgh, is wrongfully blamed for the murder of a noble, the accusation sets in motion a series of events culminating in civil war. The ensuing chaos topples the throne in Eibithar and threatens to rain chaos on all the realms of the Forelands. Tavis, thrust into the center of deadly controversy and stripped of the protection of his family's nobility, turns to the Qirsi, his last remaining hope for redemption. But another Qirsi traitor, secretly fomenting fear and mistrust among the Dukedoms, seeks to destroy Tavis. Tavis must survive long enough to clear his name and save an entire kingdom. A powerful, compelling tale set in an unforgettable land, Rules of Ascension will capture your heart and fire your imagination. 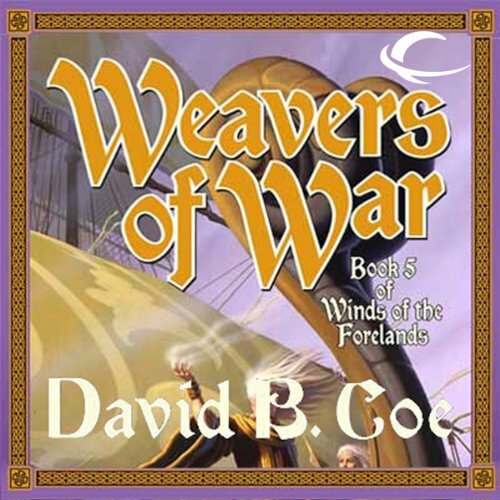 ©2002 David B. Coe (P)2013 Audible, Inc.
For nine hundred years the Forelands knew peace, but unrest among the magical Qirsi people has blossomed into a conspiracy against the Eandi rulers. 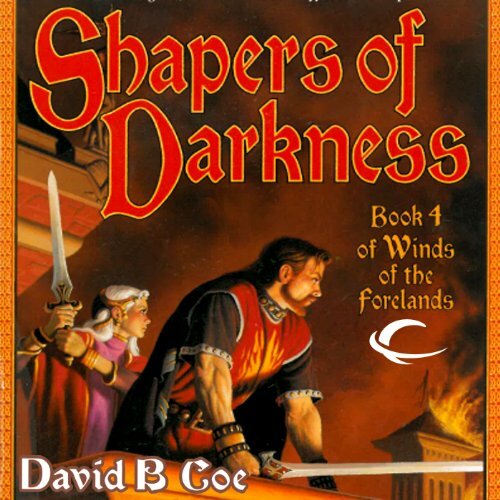 What started with an occasional "accidental" death of a lord has exploded into violence, rending the fabric of Forelands society. Led by a mysterious Qirsi "Weaver" with powers that can reach into the minds of others even in their sleep, the rebellion is now turning Qirsi against Qirsi, as it weakens alliances among the Eandi. The Forelands are at war. The magic-wielding Qirsi and their Eandi masters have mobilized their forces. The Eandi have had to look beyond past differences to make alliances for the sake of the future, praying it isn’t too late for them to change the outcome of the war. Tavis, an Eandi prince who was framed for murdering the princess to whom he was pledged, and endured torture before winning his freedom, has at last avenged her death. 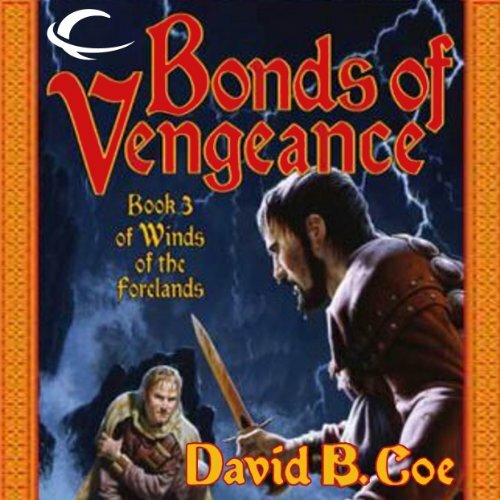 In the four previous books of his epic fantasy series Winds of the Forelands, David Coe has woven a complex tapestry of magic and politics, courage and betrayal, love and hate. Now, he brings the many strands of this enthralling series together in a climactic novel that will thrill readers of epic magical fantasy. For years the magical Qirsi people who live among the Eandi courts of the Forelands have conspired, weakening alliances among the realms. The renegades are led by a mysterious Weaver named Dusaan with powers that allow him to appear in the dreams of his followers and to bind the magic of many Qirsi into a single weapon more potent than any the Eandi have faced in a thousand years.